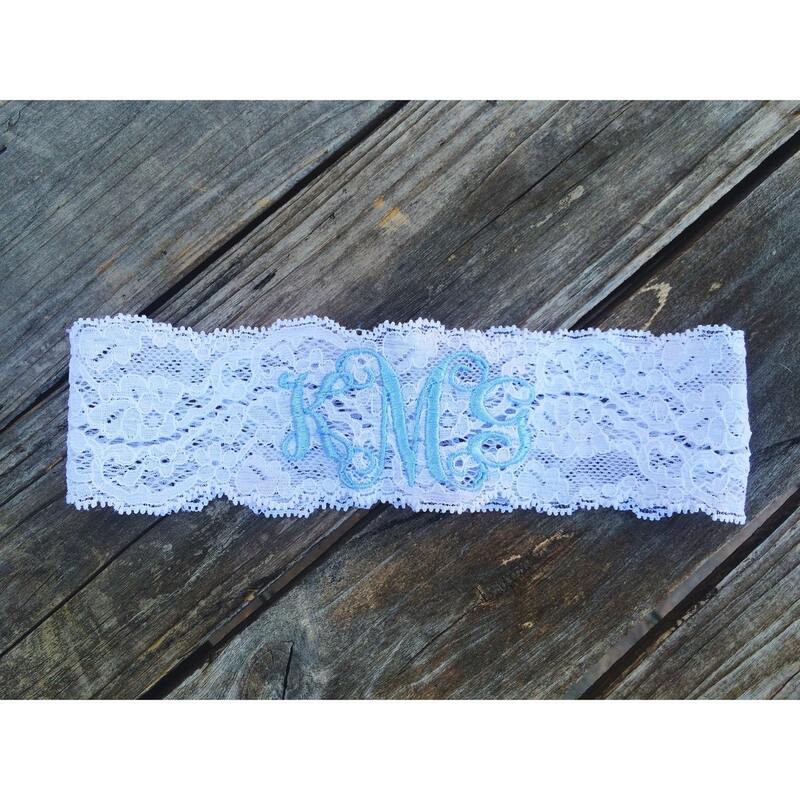 This listing is for a monogrammed Light Blue KEEPSAKE ONLY on ivory lace. Currently the only available font is the one pictured. WANT ANOTHER COLOR? JUST ASK!